Welcome to this week’s Wizzy News which leads with the sad news of the passing of our former Captain Tim Monday. We are still grieving after hearing of the passing of our much loved former Captain Tim Monday who sadly passed away in a West Chiltington game against Middleton on Saturday afternoon. We have been informed that Tim’s funeral service will be taking place on Wed 19th July at 1:30 at the Worthing Crematorium followed afterwards by a wake at West Chiltington Cricket Club to which all are invited. The family have asked for everyone to wear brighter clothes (not black) , and to wear an Aldershot tie if they have one. Click here for some of the memories we shared with Tim. The Sussex Cricket league have announced that all clubs will observe a minutes silence before this Saturday’s matches in memory of Tim. 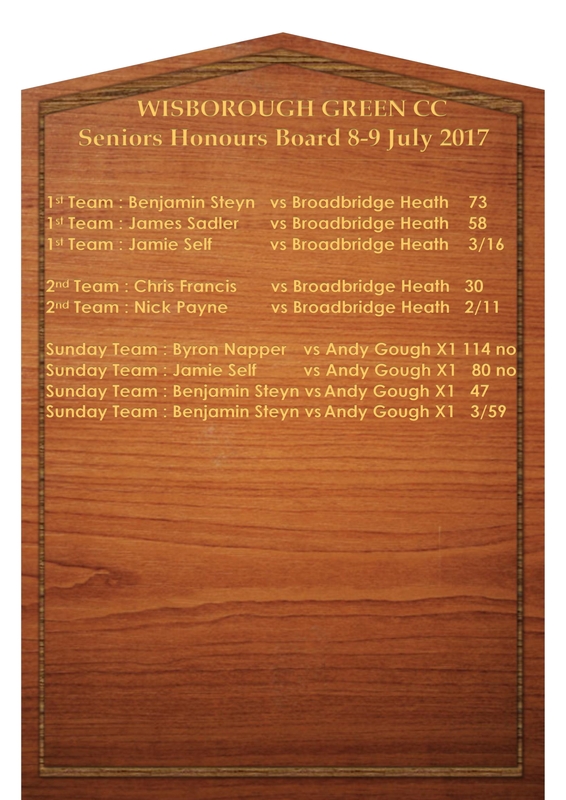 This last week has been a very tough week for us all and we are looking forward to sharing an afternoon’s cricket as a cricketing family at our annual Presidents’ day on Sunday. We will be sending out a separate email which will include all the details. A large number of games were played this last weekend with some great results all round with the Firsts, Seconds, Sunday team, Under 16’s , Under 14,s and under 9’s all in action. It was another great afternoon on the Green on Saturday. Thanks again for everyone’s efforts – particularly Sam Sadler, Sammi Minto and Emma Filby for their hard work with the food, and Nick Payne for the Prosecco . Click here for some great pics. If anyone has any more pics please let us have them. Please keep 14 October reserved in your diary for a 70’s night in the village Hall. The event is a fundraiser for the new Pav and follows on from the very successful 80’s night last year. More details to follow.